The term ‘lost episode’ gets thrown around a lot in showbusiness, but in some cases the production in question does genuinely disappear and become worthy of the title. Several old episodes of classic BBC sci-fi drama Doctor Who falls under this category, with many episodes produced in the 1960’s and 70’s disappearing in the channel’s archives as quality of original copies deteriorate and viewers of the original are unable to create a reproduction through formats such as VHS (which was non-existent at the time). However, for items that can still be salvaged and assured through other means (such as original scripts), hope lies in the form of animation, as the corporation reveal that one of the earliest of their many ‘lost episodes’ is to be reproduced in cartoon format as a DVD exclusive in the future. 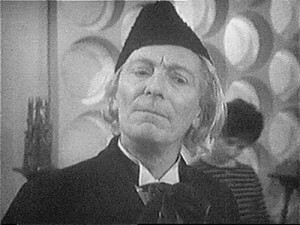 The Tenth Planet, the 29th ‘story’ in the show’s history, and the last to feature ‘first Doctor’ William Hartnell, is a 4-parter that has long had its final installment missing (like 43 other episodes featuring Hartnell across the show’s first 4 seasons), and is said to provide crucial information to the future plotlines established in the 50-year-old series. Following in the lead of ‘The Reign of Terror’ (parts 4 & 5), the episode, believed to have been ‘missing’ from the BBC’s archives since the mid-1970’s is to be reproduced through the ‘Thetamation’ process. Fans of the series will be interested in the episode due to the first ‘regeneration’ of the show’s history (as Hartnell’s character dies and is replaced by a Doctor portrayed by Patrick Troughton), and the first appearance of Doctor Who villains ‘the Cybermen’. Set for a release in ‘late 2013′, the conclusion of the Hartnell-led storyline in Doctor Who will come at a similar time that the actor is represented live-action in 3D holographic form on an anniversary special episode (recently revealed to be directed by Nick Hurran), so will The Tenth Planet become a noteworthy addition to the half-century celebrations?